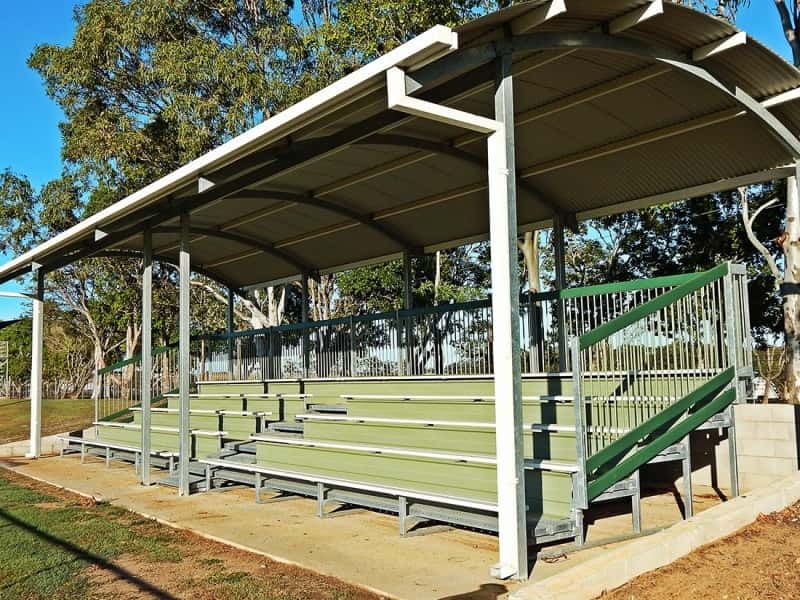 A 5 tier Grandstand unit is a wonderful way to really bring the sporting community together as they cheer on their local team. 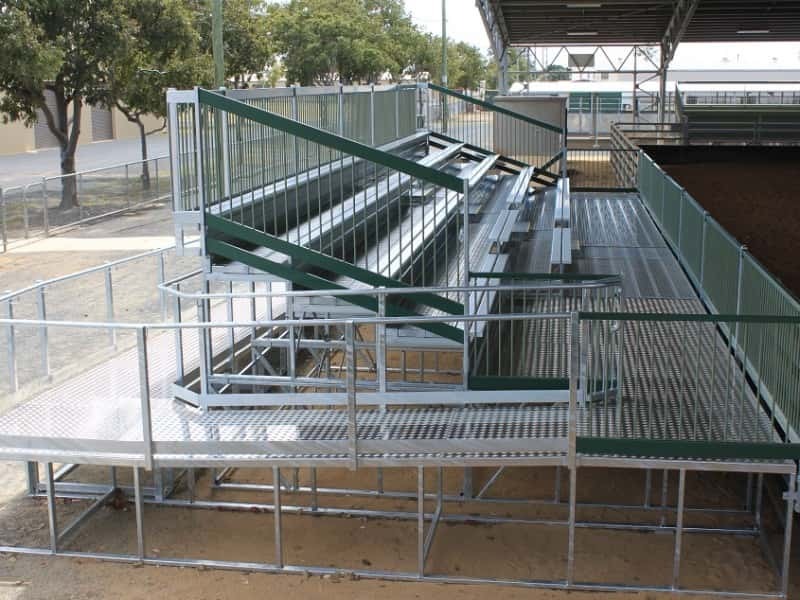 This is something that we at Steel Post and Rail have been providing solutions to for almost 30 years. 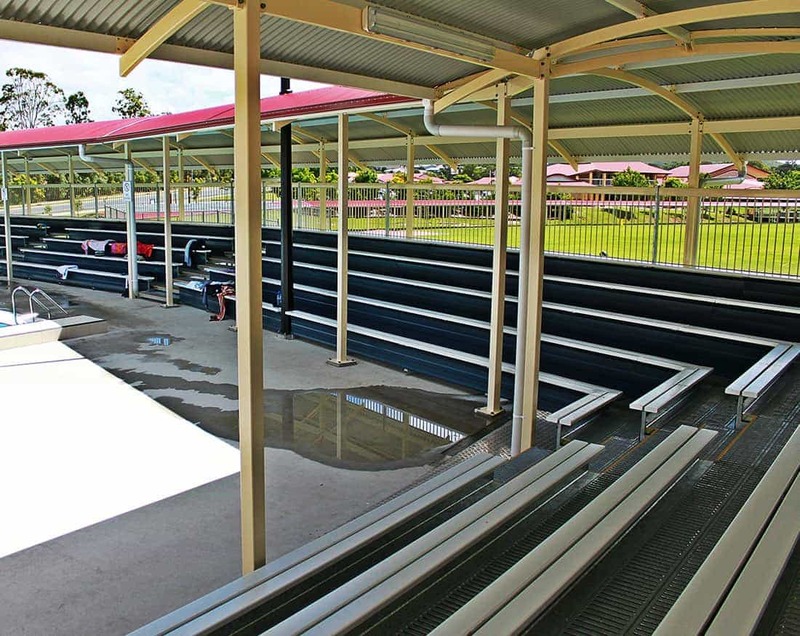 Our satisfied clients include schools, universities, sporting facilities and government entities all across Australia. 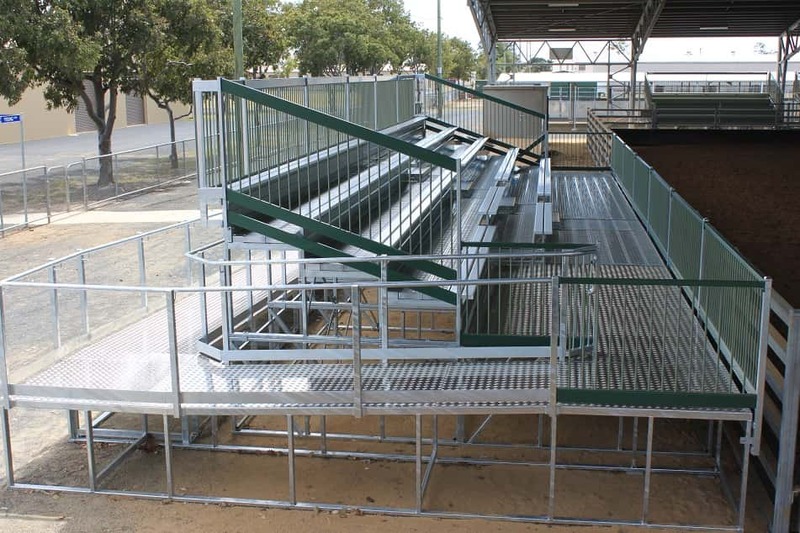 Our process is simple, and one that has been honed over many years of working on many different projects for a diverse range of clients; we will consult with you on your exact requirements and work with you to design, manufacture, transport and install the perfect 5 tier Grandstand product for your facility. 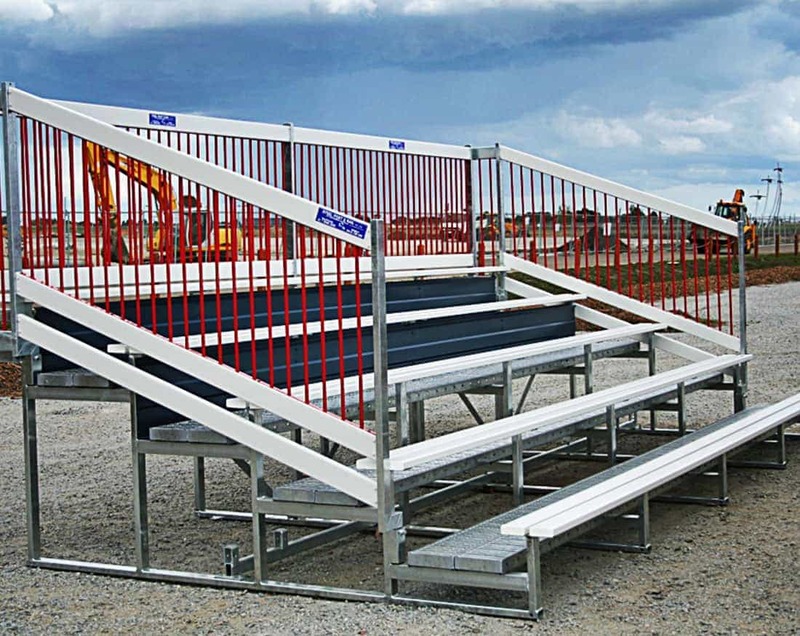 Thanks to our significant experience and knowledge in executing these sorts of projects, you can be confident in our products and our personnel to deliver quality and practical solutions that suit your exact needs. 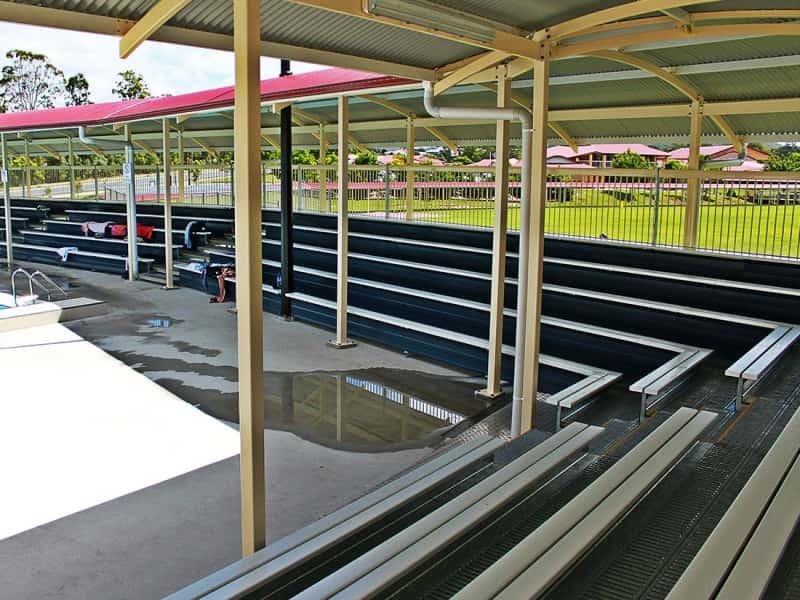 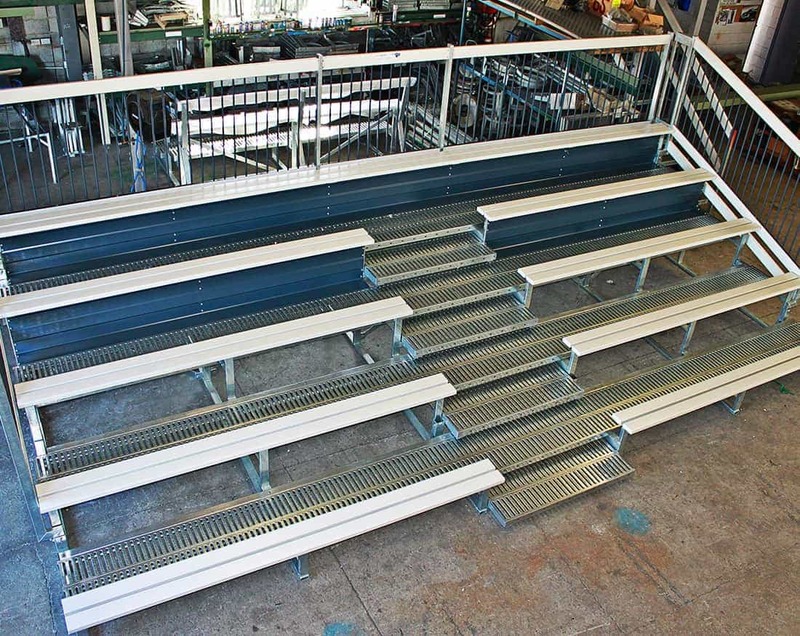 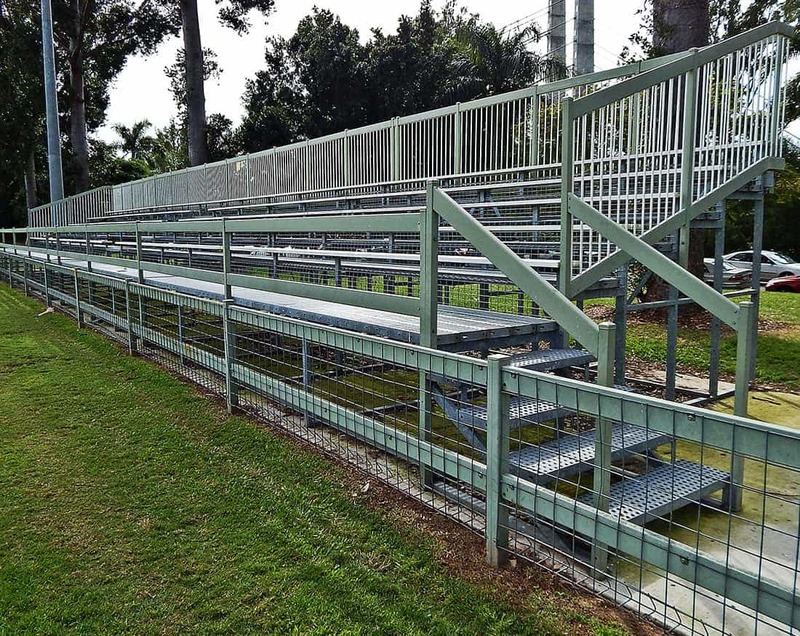 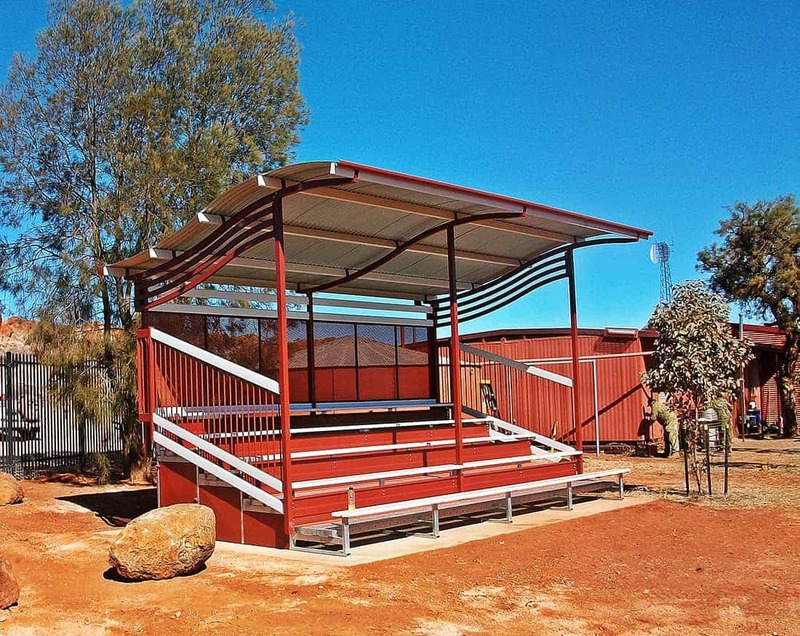 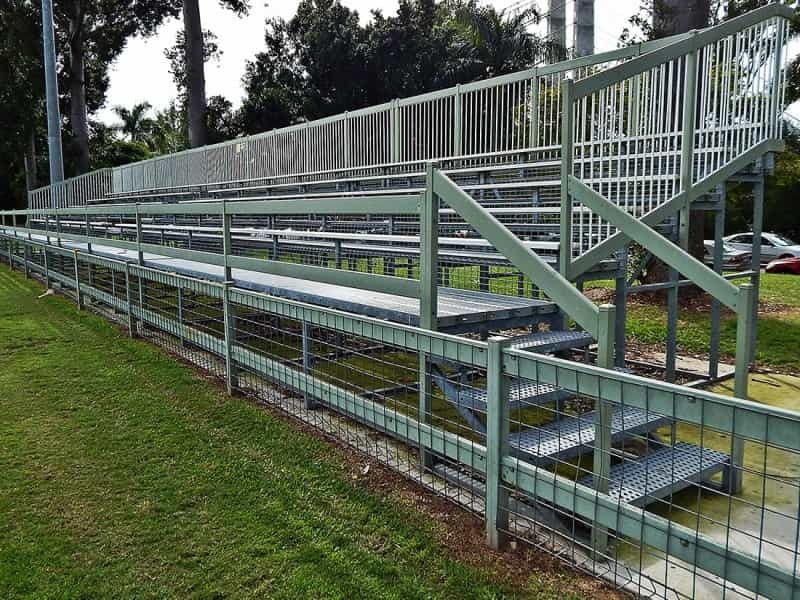 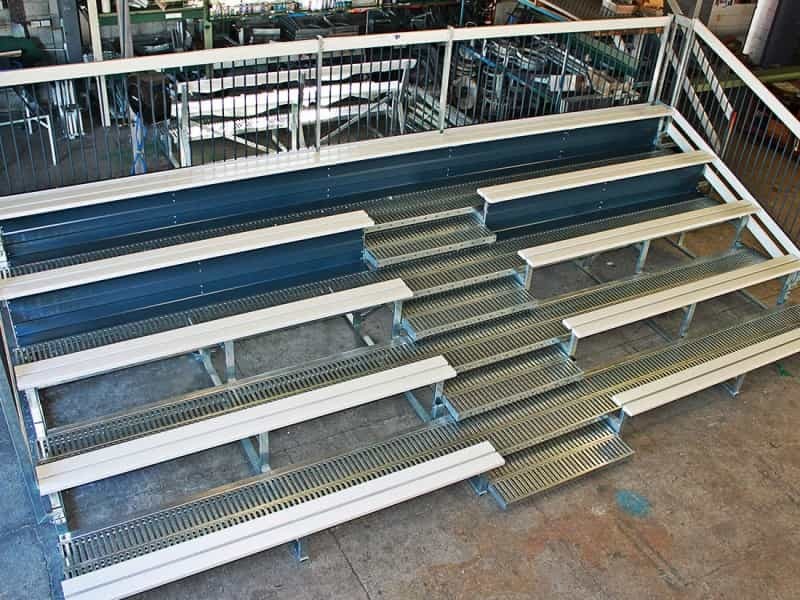 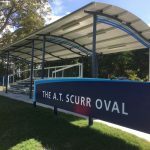 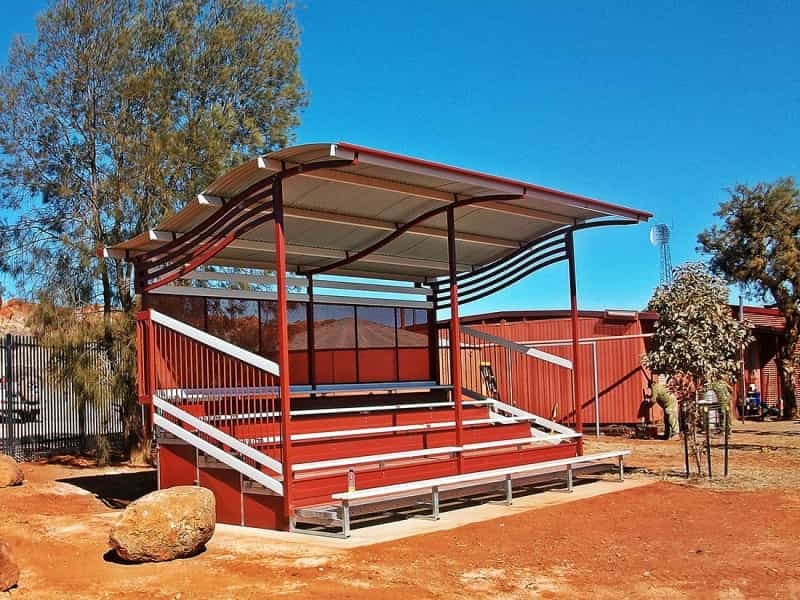 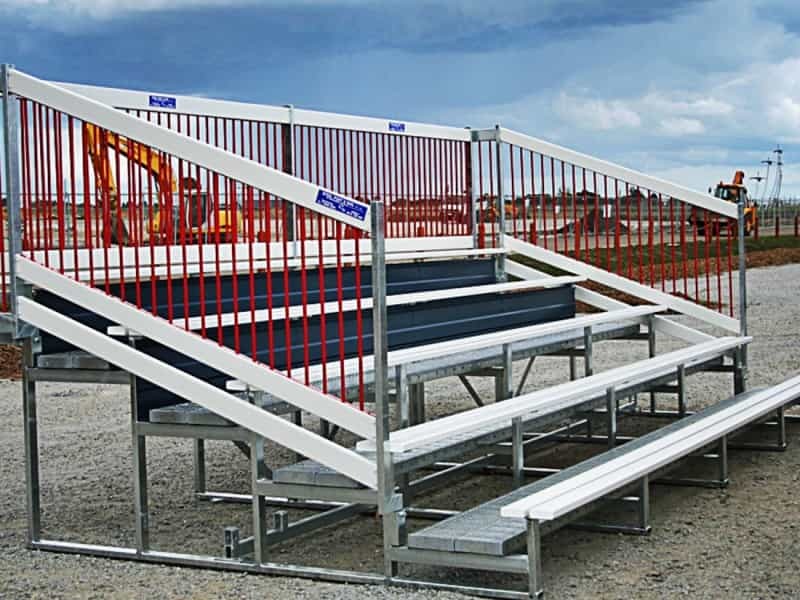 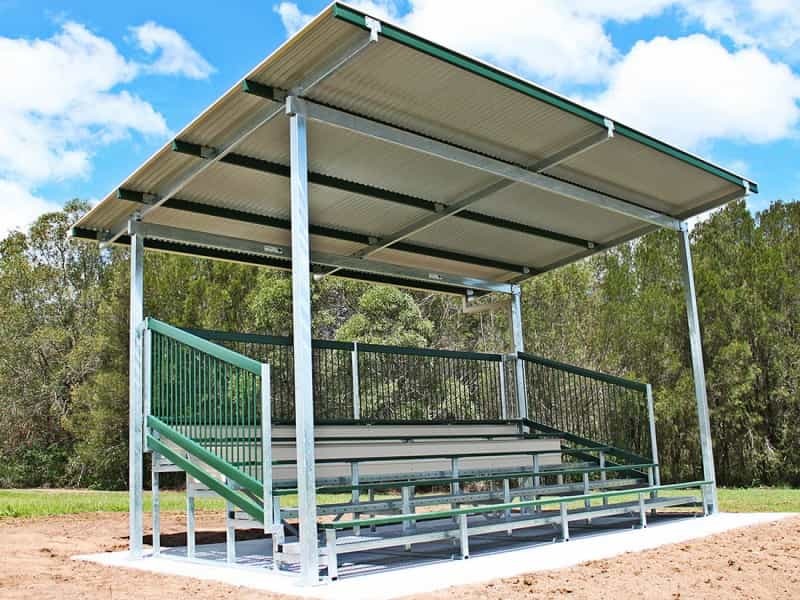 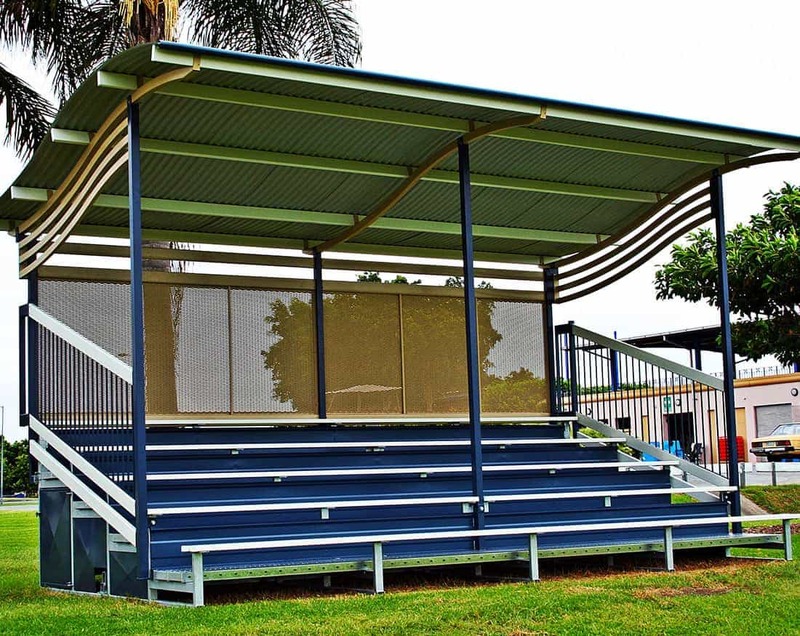 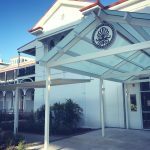 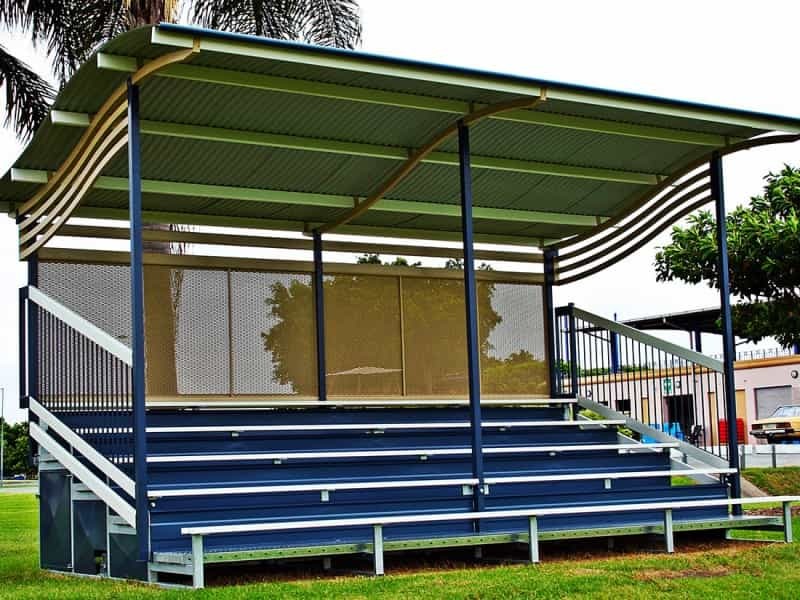 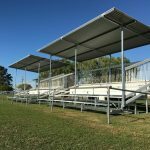 We have installed grandstand products for local sporting grounds, councils and many educational facilities all over Australia and our clients continue to come back to us time and again because we understand their requirements, we deliver on time and on budget. 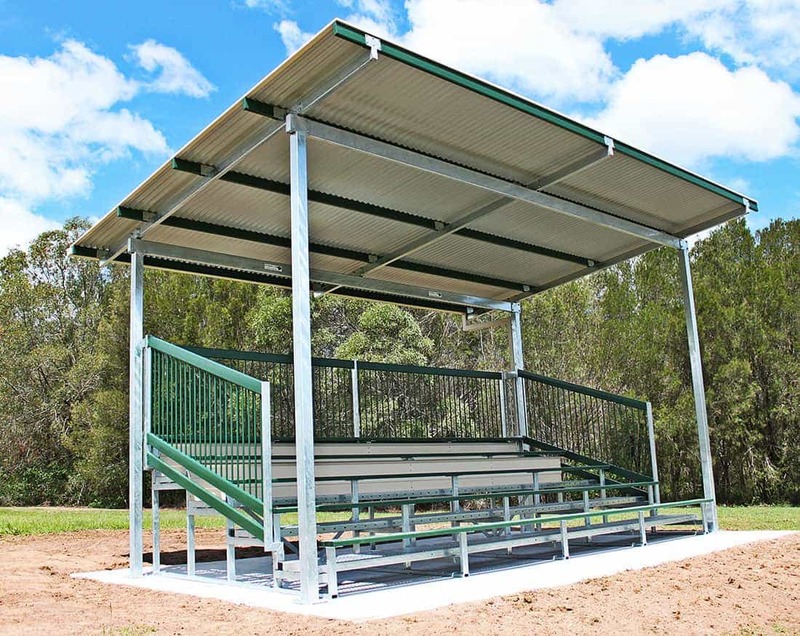 Plus, our locally-manufactured products are built to stand the test of time against the unpredictable Australian weather conditions.